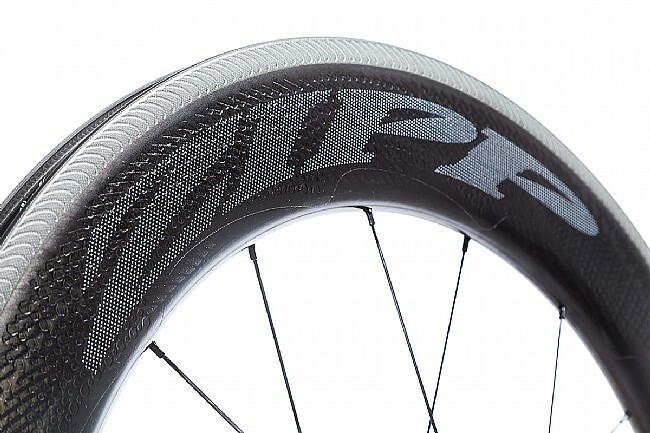 The Zipp 808 NSW Tubeless Carbon Clincher Wheelset has been revamped for 2018, featuring an entirely new rim design that brings in tubeless compatibility to the outstanding aero performance. 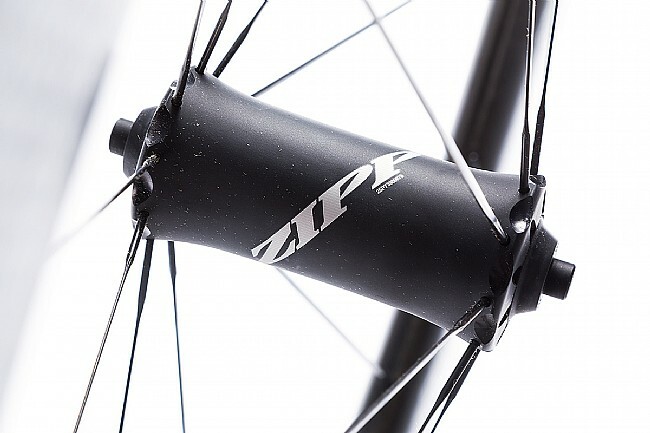 Zipp's pursuit of AeroBalance™ defines their approach to wheel design, and its especially apparent in the 82mm-deep 808 NSW. 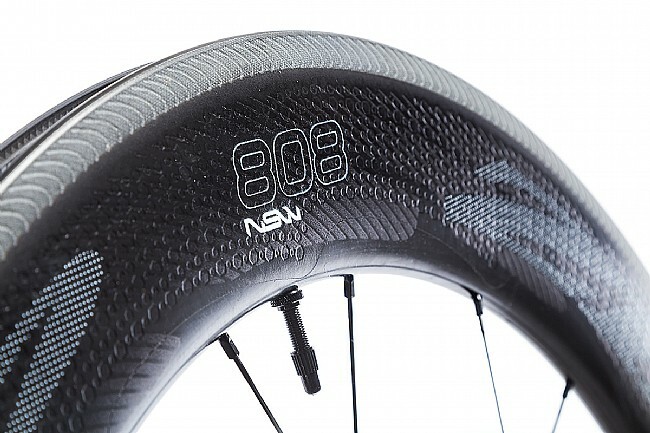 Designed for speed, stability, and comfort, the 808 NSW features Zipp's best technology to aerodynamically integrate the tire to the wheel, and the wheel to the bike. 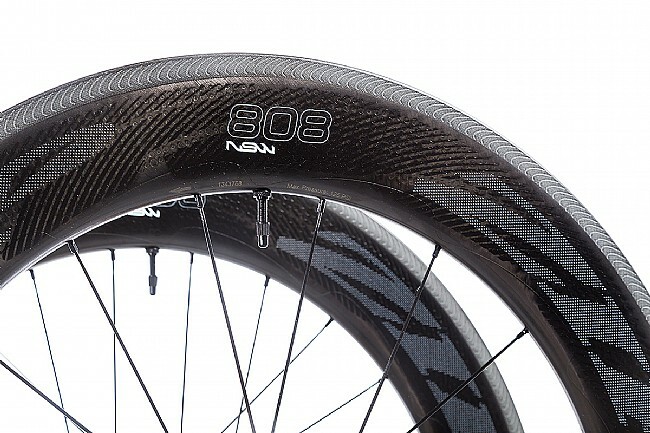 The 808 NSW Carbon Clincher Tubeless wheels – along with the 303 and 404 versions -- also feature a wider 19mm internal rim width and corresponding outer rim shape for aerodynamic optimization with 25mm tires. Featuring their new Sawtooth dimple design, the ABLC SawTooth technology consists of 12 nodes specifically clocked to start aerodynamic shearing at a rate of 50hz when the rider achieves 20mph. When it comes time to slow for a corner, Zipps' NSW-exclusive Showstopper™ brake track stands ready to deliver the best modulation and shortest stopping distances available, regardless of weather conditions or the length of the descent. Down below, the Cognition hubset is lightweight and durable, while out back the Axial Clutch technology reduces drag while coasting. 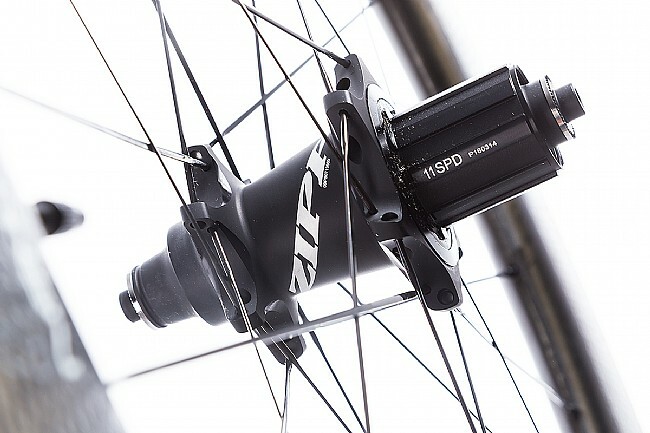 Featuring a star-flanged straight-pull hubshell design, the rear hub distributes the load away from the bearings, while the Axial Clutch technology disengages during coasting, nearly eliminating friction in the process. 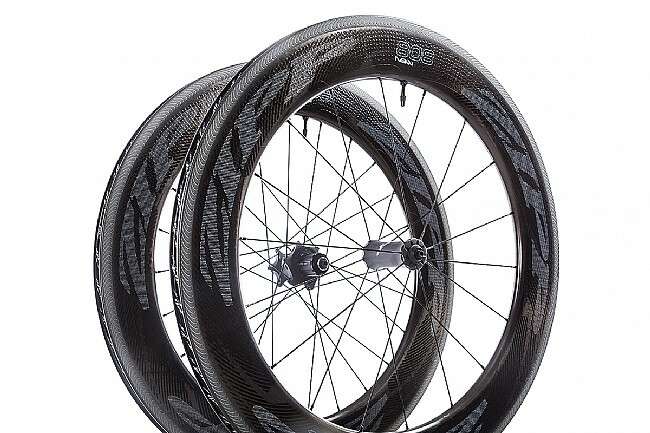 Each Zipp 808 NSW Tubeless Carbon Wheel includes: Zipp Tangente quick release skewer, individual wheel bag, tubeless valve (factory installed), tubeless rim tape (factory installed), valve core removal tool, Cognition thru-axle caps to fit 12x100, 15x100, and 12x142 dropouts, Cognition oil for rear hub service, and a freehub body spacer (11-to-10-speed). 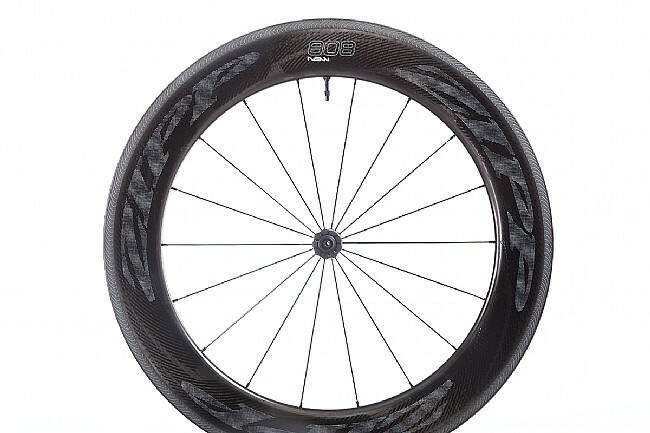 Entirely new tubeless-compatible rim profile for increased speed and improved cornering, control, and comfort. Cognition hubset with Axial Clutch technology reduces drag when coasting. ABLC Sawtooth dimple design manages air flow around the rim, resulting in increased speed and stability. Showstopper brake track is powerful and consistent, even in wet conditions. Brake Compatibility: Rim brake, Showstopper. Claimed Weight: 857g front / 998g rear / 1,855g set..